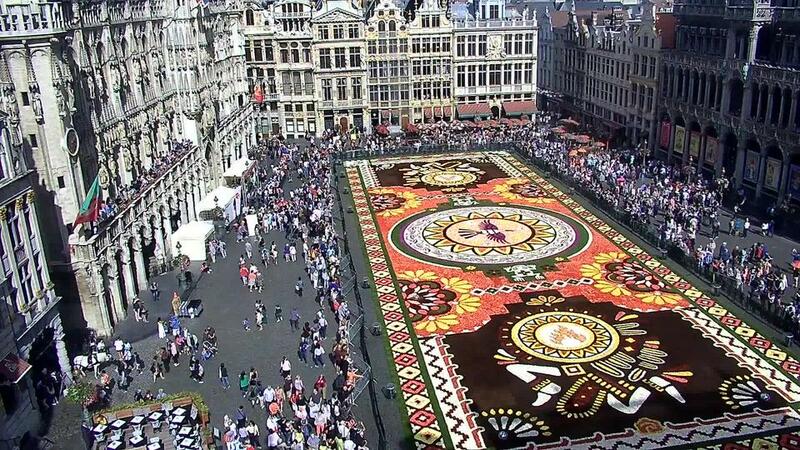 From 16 to 19 August 2018 at the Grand-Place in Brussels - Flower Carpet - an ephemeral show on the world’s most beautiful central square! Every 2 years the Grand-Place in Brussels is covered with a flower carpet of begonias. 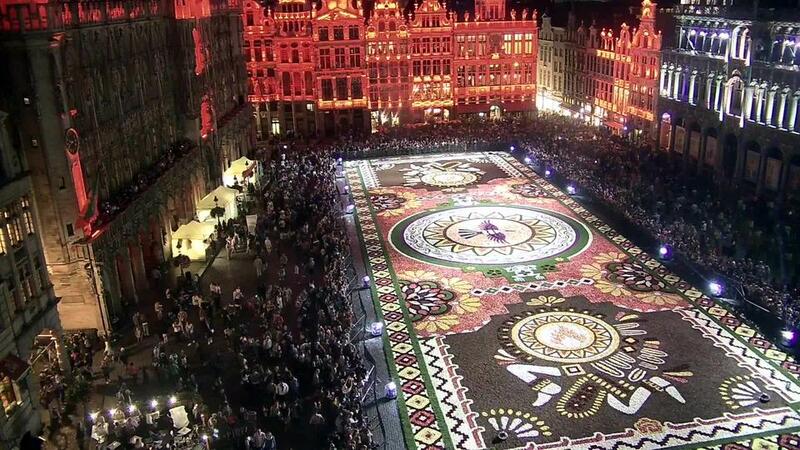 The carpet of 77 m x 24 m is composed by about 120 volunteers, with nearly 1 million begonias in less than 4 hours. The 2018 theme of the flower carpet is Mexico. 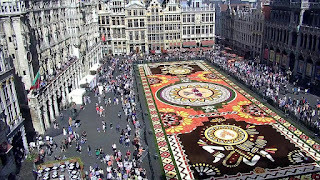 The Flower Carpet is dedicated to Guanajuato, a Mexican region with a particularly rich floral culture and tradition.